A common problem for building designers and managers is not achieving the level of thermal comfort in line with expectations. This can be due to a number of factors including correct establishment of comfort criteria and accurate modelling of both wind and solar effects. The inability to account for these complex flow effects in urban environments is due to the limitations of computational modelling when considered in isolation. Windtech Consultants accounts for these effects through the use of wind tunnel modelling to accurately account for the wind-driven component at the boundary conditions during the computational modelling process. This significantly improves the accuracy and reliability of the expected thermal conditions for the end user. 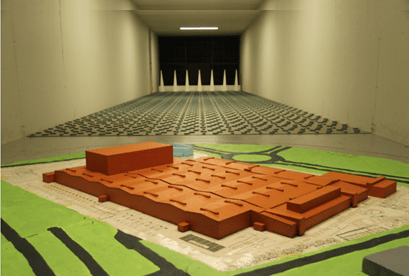 Windtech has demonstrated this modelling process on many past projects and thermal environments, including the award-winning Global Change Institute building in Brisbane. Windtech has also been requested to reanalyse the thermal performance for a number of past projects after inadequate attempts by other consultants, as in the case of the Pepsi Green Field Factory development in Dubai. 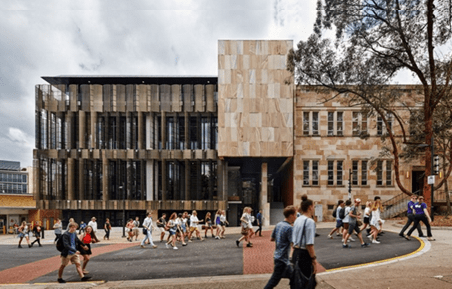 The progressive and forward-thinking development, part of the University of Queensland, won the ‘2016 Queensland Rider Levett Bucknall Development of the Year’ award. Additionally, it was a finalist in the 2016 Property Council of Australia National Innovation and Excellence Awards. Windtech Consultants is proud to have assisted in the development of the award-winning Global Change Institute in Brisbane, having been the wind consultant for the project. Windtech utilised their hybrid analysis technique to account for the effect of thermal comfort through improved natural ventilation. The purpose of such studies was to reduce the reliance upon mechanical ventilation and encourage the use of natural ventilation, utilising both thermal and wind-drawn airflow through the building. Through this means, an integrated, sustainability-focused and optimised design is achieved. Windtech were also about to account for the effect of the sun-tracking rotating louvres located at the front of the structure, protecting against the sun and glare. Windtech was also appointed to reanalyse the natural ventilation design of the Pepsi Green Field Factory in Dubai. Due to energy restrictions for the site and power needed for plant processing, a means for reducing the high demands from mechanical ventilation was sought. 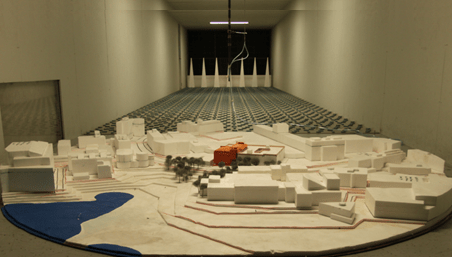 Windtech Consultants conducted a hybrid wind tunnel and computational model study to find a solution. The site’s location and exposure to prevailing winds and internal heat loads were able to be accounted for with the location of external openings recommended to improve natural ventilation to maintain suitable internal conditions. This removed the need for mechanical ventilation, assisting in the overall project’s design.